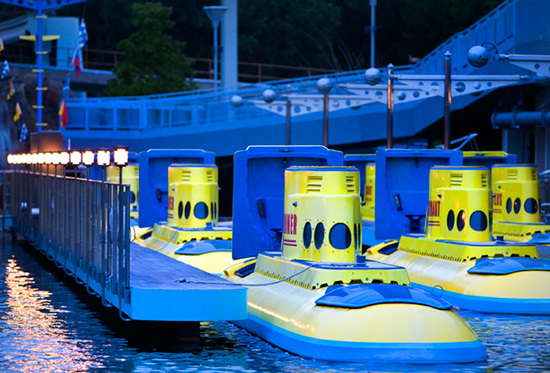 Finding Nemo Submarine Ride Gets Extended Refurbishment. Alright, this makes me a little uncomfortible because of Disney's track record with their 'submarine' rides. Remember, this is what was going to happen at Disney World but our 20,000 Leauges Under the Sea ride would never re-open from it's 'extended refurbishment' again. On Friday Disneyland confirmed via The Disney Parks Blog that the Finding Nemo Submarine Ride would go down on January 6th and reopen LATE in 2014 for an extended refurbishment of the attraction. Disneyland states the 5 million gallon 'lagoon' will be drained allowing crews to preform the massive ride refurbishment. They state when (if) the ride reopens guests will see a more vibrate and colorful version of the ride, which will be painted with a special mixture created by Disney which involved recycled glass. I sincerely hope that this ride does reopen, unlike it's now deceased counterpart at Disney World in Orlando, Florida.